Thank you for your interest in our services. We always strive to deliver quality, dependable service at reasonable prices. To help us determine what you need, please fill the form out below as completely as possible. We will be in touch with you shortly with a price estimate. If you select no, please continue to input specifications below. 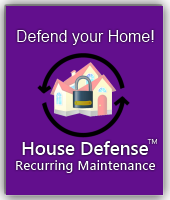 Please visit House Defense Recurring Maintenance page under "Services We Offer" for more information. If larger than 3000, please describe in the form below. When calculating, please count French Windows, Sliding Doors, and Doors with Side Windows as 2. Please count Bay Windows as 3. Inside and/or Outside Windows Cleaned? Would you like your Window Screens cleaned? The type of roofing material determines how the cleaning can be done. Certain materials require climbing onto the roof, which increases safety risk and insurance costs. In the description below, please describe how large each element is that you would like cleaned. Please include any details you think may be applicable. 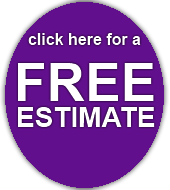 If you asked us to make an estimate at your property, please give us the three best times we can meet.